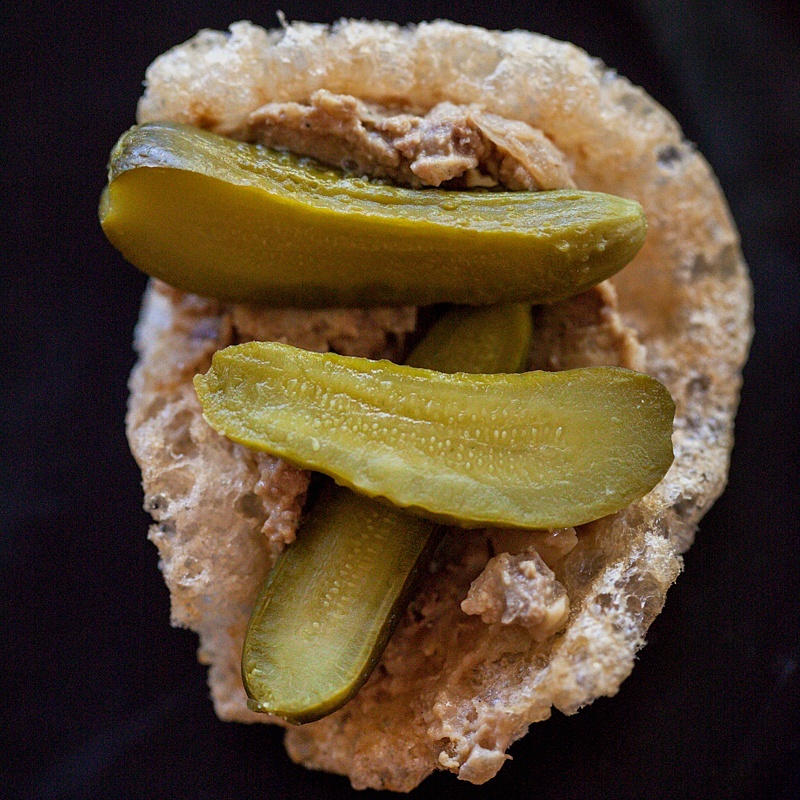 Chopped liver paté smeared onto pork rinds and topped with cornichons! 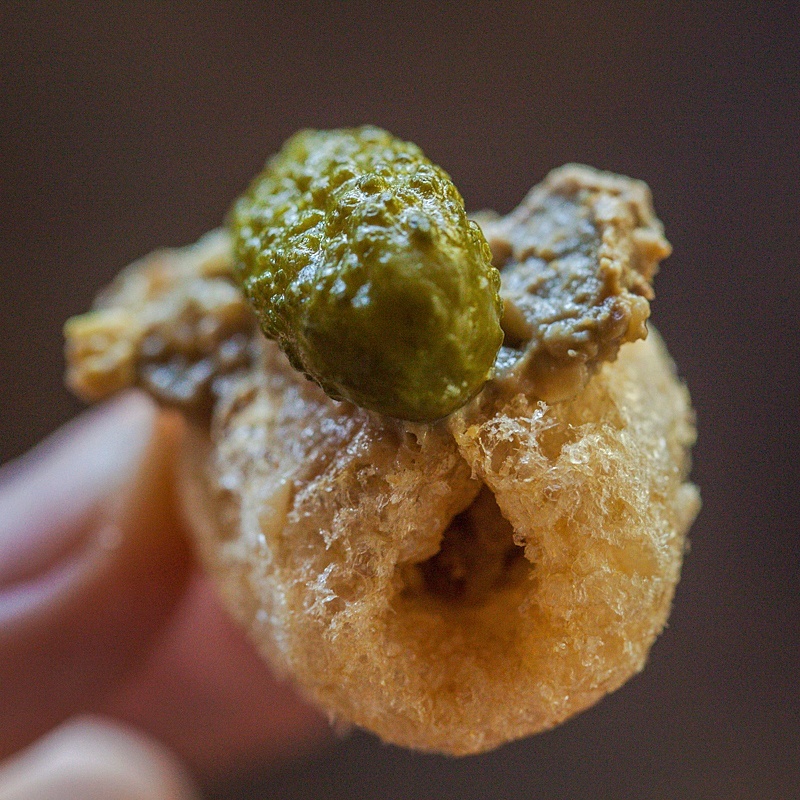 This may seem like an unlikely, (and un-kosher) combination at first, but the pork rinds add a nice crunch without distracting too much from the chopped liver, and the cornichons add just the right amount of salty bite. 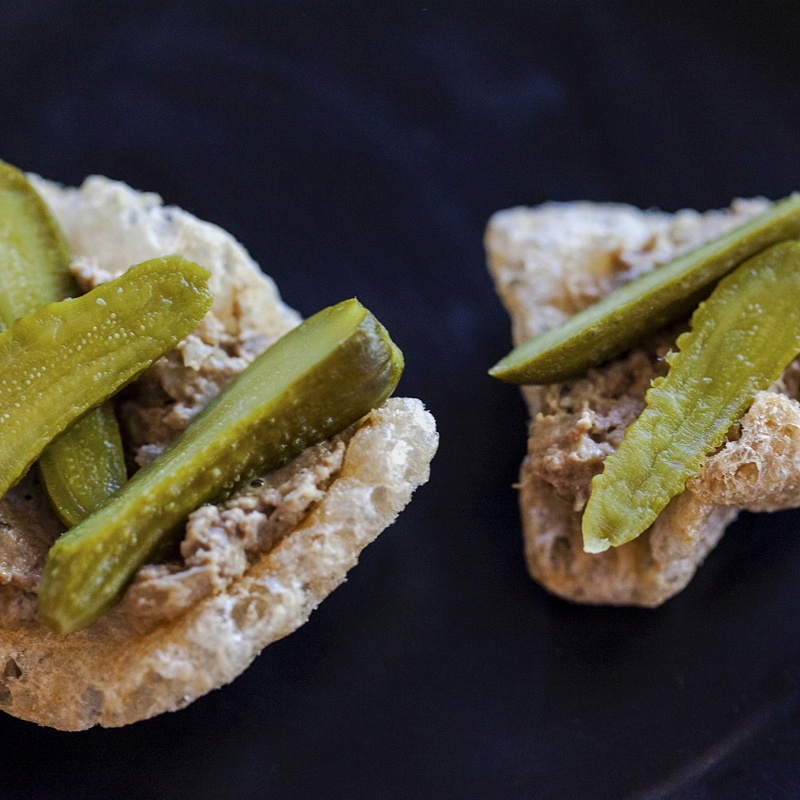 I love chopped liver but I haven’t been able to figure out how to make it as well as the deli up the street. I asked them for the recipe, and all the person behind the counter knew was a list of ingredients: eggs, chicken liver, chicken fat, onion, garlic, salt; which are common to all chopped liver recipes. When I figure it out I’ll post the recipe here. 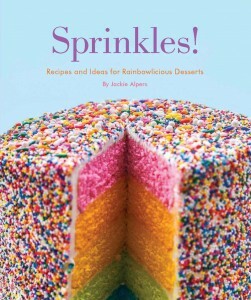 I’m starting with this one from this month’s Saveur Magazine. I made Saveur’s recipe for chopped liver today and it turned out perfectly. It’s similar to the $16.00 a pound version from the deli, but it only cost me about $3.00 to make!